A series of stylish new leather motorcycle saddlebags was recently unveiled to Harley-Davidson owners by VikingBags, a distributor of motorcycle luggage, saddlebags, and accessories. Targeted specifically for Sportster, Dyna, and Softail model Harley-Davidsons, the collection is centered around dozens of styles, options, and features to suit any preference. 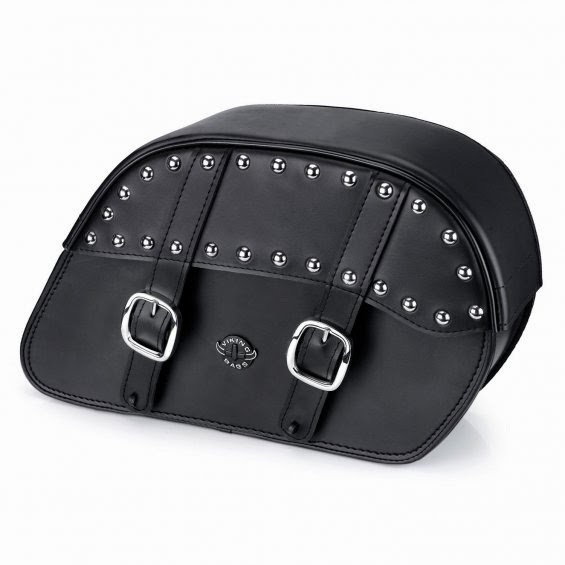 The new line of saddlebags, marketed under the VikingBags brand, are made of 100% Viking leather, with a hard shell construction guaranteeing against sag. Both weather resistant and waterproof, all Harley-Davidson leather saddlebags in the series come with state-of-the-art key locking systems. Saddlebags featured by VikingBags can either be "thrown over" or hard mounted. Each set of saddlebags comes with free mounting brackets and hardware. Both the Dyna and Softail series offer a large 32 different saddlebag styles to choose from, with the Sportster series offering 20. The saddlebags for Softail Deluxe look particularly classy, while saddlebags for the Dyna Street Bob have a very urban, edgy feel. Prices are very competitive and affordable, ranging from $79.00 a pair to $299.00 a pair. VikingBags is currently offering a full 30 day money back guarantee on these saddlebags.